Kitchen! Kitchen! : "pearly luna" butter cake......at kitchen! kitchen! for tarts & quiches. "pearly luna" butter cake......at kitchen! kitchen! for tarts & quiches. Being cooled for gift giving. A great way to welcome the New Year! My sister Pearl is a whiz in the kitchen and in baking as well. Actually, all of my sisters have a natural talent in the kitchen in their own way, each with different specialities. I would just name a few of my favorite dishes to one of them and they will whip it up without a bat of an eyelash. It's great to have a lot of sisters to learn new things from. 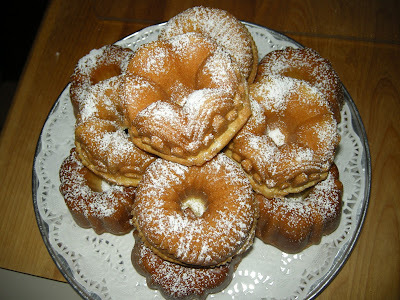 So, this recipe is from Pearl (the reason for the namsesake of "pearly luna" butter cake). It is normally baked in a large baking sheet and cut into squares. Well, being that I baked this for a New Year's eve party, it is a tradition that everything served must be in a shape of a circle for good luck. 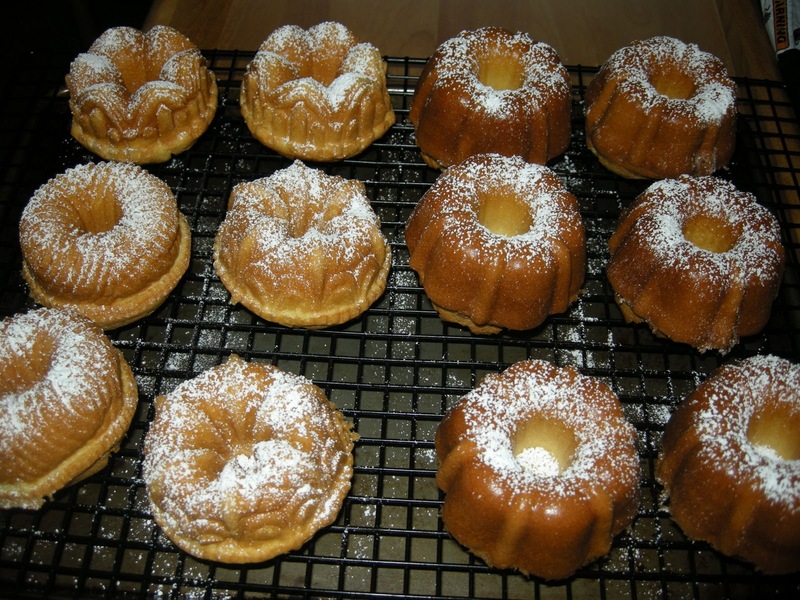 So, what a better way to bake it in miniature and individual bundt pan. The making of this cake is a bit involved but worth all the effort. So, to my sister Pearl, thank you. The next one I will try is her fabulous creme brulee!